» Takeya vs Hydro Flask in 2019 Which Is the Better Bottle? Takeya vs Hydro Flask in 2019 Which Is the Better Bottle? Keeps drinks cold temperature for up to 24hrs and hot for up to 12hrs. Everyone knows they should be drinking more liquids (of the non sugar variety) to stay hydrated, but sadly this health benefit has turned into environmental concern as so many water bottles end up in landfills. Approximately 50 million water bottles are discarded in just the United States alone and even more concerning is that less than 25% of those plastic bottles are recycled. This has thankfully led to more and more health-conscious individuals skipping the plastic bottles for hydration and switching to reusable bottles instead for drink. Reusable bottles can be found in different types of plastic and even glass, but it’s stainless steel bottles that are considered the most superior, for a few reasons. Insulated stainless steel bottles are more durable than others and well-made ones are free of any toxins (and dishwasher safe), such as BPA that are associated even with reusable plastic bottles. Stainless steel bottles are easier to clean, less likely to harbor bacteria, and can be easily sanitized. Special Spring Pricing Update: For a limited time, you can check for discounts on the Hydro Flask via this link…. Better yet, vacuum insulated stainless steel double-walled bottles have become so incredibly popular because of how well they maintain the temperature of your beverages inside, whether piping hot water or icy cold water. Even with a super hot temperature, a well-made insulated steel bottle will keep your water icy cold or hot beverages for hours. Compared to a typical plastic or single-wall steel reusable water bottle, insulated stainless steel bottles are more expensive. If you’re really concerned about quality design and insulation, it’s worth every penny to purchase an insulated stainless steel bottle from a reputable brand. Hydro Flask is one of if not the most popular insulated stainless steel bottles. You can find many options of different stainless bottles, like klean kantine. Chances are you if blindly purchased one of these bottles without doing much research, you’ll be happy with your choice. However, there are plenty of alternative brands on the market of the same quality as Hydro Flask. For example, Takeya stainless steel bottles, sometimes called ThermoFlasks, are a less expensive option that is nearly the same as Hydro Flask in performance. If you’re not stuck on brand names and are more concerned with functionality and value, you might just find that Hydro Flask isn’t the only stainless steel bottle you’ll be happy to keep you hydrated during the day. Which Bottle Should You Buy? Hydro Flask or Takeya Water Bottle? Hydro Flasks are to insulated stainless steel bottles as Nalgene is to durable plastic water bottles. Hydro Flasks are on the most popular bottles in its category and is consistently recommended for both casual, athletic, and outdoor use. There are few complaints about these bottles and many customers rave about them constantly, proving they tend to worth the money. Hydro Flask, not surprisingly, has quite a selection of different insulated steel bottles, from small bottle designed for kids up to huge growlers. Their most popular sizes tend to be the 24 oz bottles- a narrow mouth option – , 32 oz bottles, and 40 oz models, with the latter being a go-to choice for daily drink use as the size isn’t too large and you won’t need to refill constantly. For the sake of comparison, the 40 oz Hydro Flask is the bottle that will be compared to the 40 oz Takeya. The 40 oz Hydro Flask bottles are a wide mouth vacuum insulated bottle that’s double-walled and made of 18.8 professional grade steel. 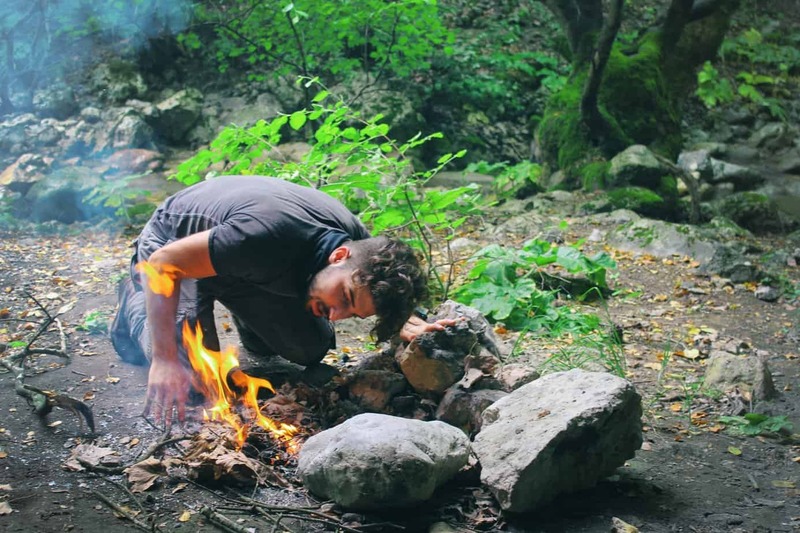 It is completely BPA- and Phthalate-free and works with the majority of water filters used on hikes or on camping trips. It has Hydro Flask TempShield technology, which keeps drinks cold temperature for up to 24hrs and hot for up to 12hrs. The double-wall design prevents “sweating” (condensation) on the exterior of the bottle, so you won’t have problems neither with cold or hot water. The 40 oz Hydro Flask retails for $42.95, comes with a wide mouth cap and a straw lid, and has 11 color options. This model weighs 17.5 oz and has dimensions of 10.4″ x 3.56″ x 2.28″. Hydro Flask can be purchased directly from their website, through retailer websites, and in much outdoor gear and sports stores. Hydro Flask also DOES have a limited lifetime warranty on their stainless steel water bottles. Takeya is a bit of a newer brand and doesn’t yet have the huge loyal following of Hydro Flask. That being said, this bottle is still of very high quality and has plenty of excellent reviews backing it. Similarly to Hydro Flask, Takeya offers their bottles in a number of different sizes, but as mentioned this will focus on their 40 oz model. The 40 oz Originals Collection Insulated Water Bottle is sometimes marketed or referred to as the ThermoFlask. This stainless bottle retails for $34.99 and can be found online from Takeya, from other online retailers, and from Costco. This well-designed stainless bottle looks fairly athletic in design and only comes with one cap, however, the cap / lid is quite versatile. Unlike Hydro Flask that limits you to either a wide mouth or straw lid, the stainless steel vacuum sealed Takeya 40 oz comes with their Spout Lid cap. This combines the best of wide mouth with the ease of drinking of your typical water bottle spout. Drink from the spout without spills that happen so easily with a wide mouth and remove the cap completely to reveal an easy-to-fill classic wide mouth opening. The Takeya bottle doesn’t have as many color options, only 6, but this isn’t really a major disadvantage and doesn’t affect usability obviously. The Takeya water bottle is constructed of 18/8 food-grade stainless steel, that is obviously BPA-free. This is also a double-walled insulated bottle, so no condensation issues on the outside. Takeya bottles are also all powder-coated for added durability and to prevent slips while drinking. This bottle will keep water cold (or other drinks) for up to 24hrs and hot for up to 12hrs if you prefer hot water. The Takeya bottles weighs 1.01 lbs (16.16 oz) and its dimensions are 11.63″ x 3.75″ x 3.75″. Chances are even the most diehard Hydro Flask fan tried a Takeya bottle without knowing it wasn’t Hydro Flask, they likely wouldn’t know the difference. There are only subtle differences between the classic Hydro Flask and Takeya, but if you’re stuck between which to choose, here are a few factors to keep in mind. If durability and insulation are at the top of the list for you, then Hydro Flask is going to be the better choice. These bottles are a bit thicker than Takeya, and though both brands are plenty durable, Hydro Flask does come out on top but a hair. If you spend a lot of time outdoors a Hydro Flask is going to withstand accidental drops on rocks or pavement longer than Takeya. Also, if you absolutely want the maximum insulative properties possible, Hydro Flask is going to be a better choice. Both bottles tend to keep hot beverages hot for about the same amount of time, but Hydro Flask does do a very slightly better job at keeping the icy water super cold. If you prefer a slimmer bottle and want to save some money, Takeya is going to be your pick. The Takeya bottles are all a bit slimmer and have a slightly small mouth than the Hydro Flask models. 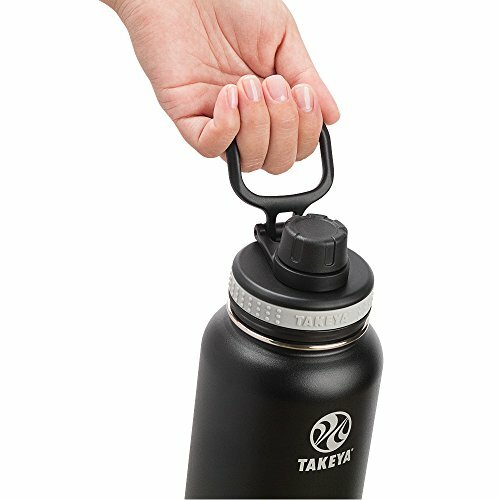 Those that aren’t fans of Hydro Flask wide mouths or the other caps you have to purchase separately, will enjoy the unique wide mouth + spout combo of Takeya bottles. If you have smaller hands you’ll find gripper the Takeya bottles to be more ergonomic. Similarly, if you plan on keeping your bottle in a backpack side pocket, purse, and other bags, this slimmer size may fit better. Both bottles are also relatively easy to clean. In terms of easy cleaning head-to-head, they dead even. Both of these insulated water bottles check out as being quality products, but by keeping the above factors in mind you’ll be better able to choose the right one for your needs. Special Spring Discount: For a limited time, you can check out the latest discounts on the Hydro Flask via this link. NOTE: Hydro Flask DOES feature a limited lifetime warranty on all of their bottles.